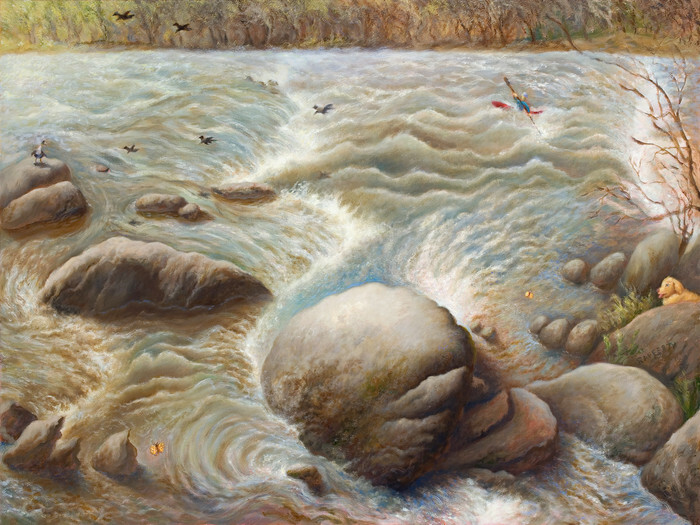 The original oil painting "Torrents of the French Broad" by Jason Rafferty. "Torrents of the French Broad" is an original oil painting by Jason Rafferty. The media is oil on canvas, and it measures 48 x 38" including the frame. It was painted in Asheville, NC and Norfolk, MA. This piece comes with a custom hand-finished frame created by John Hunter of Hunter Woodworks and the Old Wood Co., in Asheville. "This piece was my first endeavor at a larger-scale studio landscape painting. 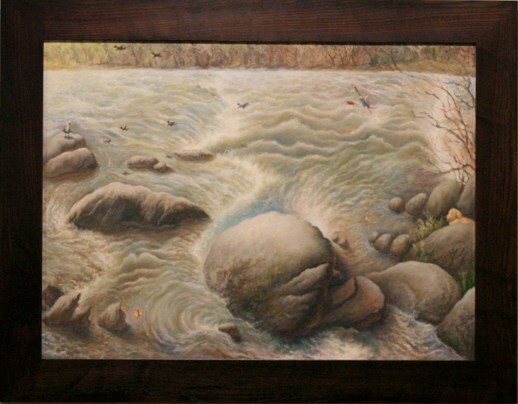 It depicts a view of the beautiful and ancient French Broad river seen from the Ledges Park near Asheville, NC (I have been told that the French Broad is the world's third oldest river, behind the Nile and the New River). Springtime is in full swing with butterflies, geese, and a peppy golden retriever populating the painting. In the background, a kayaker deftly navigates against the flow of the rapids." Jason uses the finest quality materials and constructs his artwork archivally, with longevity in mind. 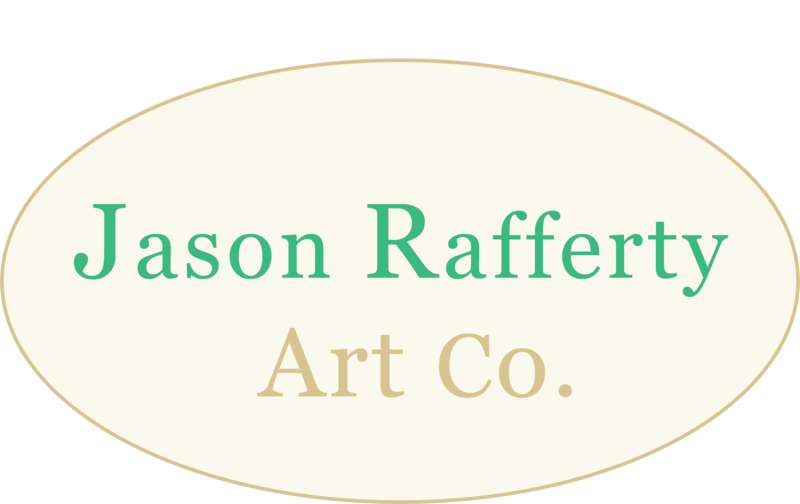 He is scrupulous with quality checking, and is focused on delivering you a quality piece of art that can be enjoyed for many years.